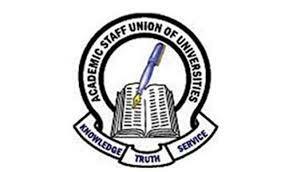 The Academic Staff Union of Universities (ASUU) has shunned a meeting scheduled with the Federal Government on Tuesday to address the concerns raised in an earlier agreement between them for which ASUU has been on strike. ASUU President, Biodun Ogunyemi told newsmen that the education body had submitted a proposal to the federal government and is yet to receive a reply from FG, hence, would not attend any meeting with it until the union gets a reply. Minister of Labour and Employment, Senator Chris Ngige had called the meeting and those expected were the Ministers of Education and Finance, Mallam Adamu Adamu and Mrs. Kemi Adeosun respectively, Chairman, National Income Salaries and Wages Commission, Executive Secretary National Universities Commission and the President of the Nigerian Labour Congress, NLC, Comrade Ayuba Wabba. A statement signed by Samuel Olowookere, Deputy Director, Press in the Ministry of Labour and Employment in Abuja had read thus: “In furtherance of efforts at resolving the lingering industrial action embarked upon by the Academic Staff Union of Universities, ASUU, the Minister of Labour and Employment, Sen. Chris Ngige, will tomorrow (today) by noon meet with the President and Executive of ASUU. When Vanguard contacted the National President of ASUU, Prof. Abiodun Ogunyemi, on his phone, yesterday, on the position of the strike, he simply said that the union was still consulting and that whatever was the outcome of the consultation would be made available to the public. 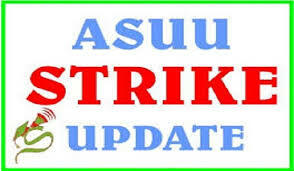 ASUU had declared an indefinite strike two weeks ago, citing FG’s failure to implement agreements reached with the union in 2009. Ogunyemi, while calling for the strike said during the strike, there shall be no teaching, no examination and no attendance of statutory meetings of any kind in any of the union’s branches across the country. However, after its meeting on Saturday, Ogunyemi said the body would attend a subsequent meeting only after it has received a reply from the federal government.